Please call your Local Easton Locksmith at (484) 541-5676 for emergency services or upcoming schedule locksmith needs. Generally speaking, you are welcome to call us for emergency service without delay, or even send us email to schedule appointment. We are only one phone call away! Not to mention, we’re ready for your call or your email! At the top of that, we’re working for you 24 hour a day – 7 days a week. After all our contact options are considered, whenever you look for a professional locksmith company, we are here for you. We are your best locksmith choice in Easton, Pennsylvania. 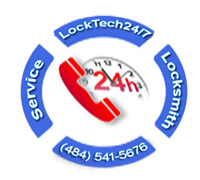 Please enter out “About Us” page to read more about LockTech24/7 at Easton, PA.